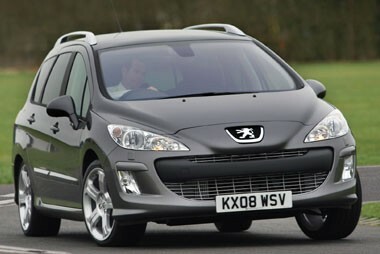 You will probably be aware of the Peugeot 307 Estate and SW models, but can you remember seeing one recently? They’re a bit like donkeys in that respect, because lower-medium estates of this ilk just don’t get any recognition. They aren’t exciting lifestyle machines that denote your skills at windsurfing along Sandbanks or climbing Scafell Pike. And they aren’t voluminous carry-alls that advertise your virility for parenting a brood of pretty children. What they do, in fact, is advertise that if somebody has a particularly troublesome piece of A4 clogging up the feeder spool widget of their Xerox XPi34-09, you’re the man who can. 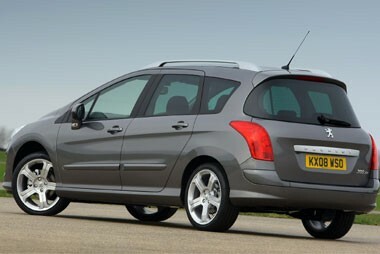 Peugeot thinks its latest model might well just overcome the problem of this rather dour image. The 308 SW, so it reckons, is expressively designed with all manner of cunning carrying features to serve the needs of windsurfers and photocopier repairers alike. So the firm will be going to fleets selling the car not just as a workhorse/donkey, but as a fully fledged user-chooser model. 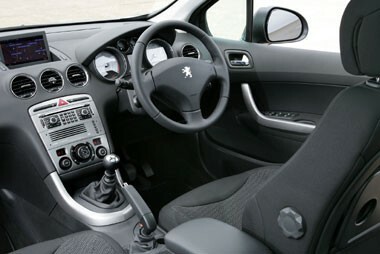 Pierre Louis Colin, Peugeot’s UK managing director, said: “Up to 20% of all 308s sold will be SWs. "It completes the line-up and allows us to go to businesses and really push the range. “We have a comprehensive set of meetings coming up with businesses, because now is the right time to show fleets the benefits of the whole range – the 308 has a much better image than the 307 and we are getting very high customer satisfaction scores. So what will fleets be getting for their money? Firstly, the front half is exactly the same as the hatchback, which means a long front overhang and slightly fussy styling, while the interior is undoubtedly high quality. The key to the SW’s appeal will be in its adaptability and use of space which starts with a front passenger seat that can be folded flat which allows items of up to three metres to be carried. The backs of the two front seats also have those little plasticky fold down airline-style tables for children to spill Ribena on. The second row is where drivers can get really ingenious, depending on which model they specify. For those who spend their days rescuing A4 paper, where the base S model is the most likely, it comes with a standard 60/40 split bench seat. But for those looking for more lifestyley options, there is the choice of three individual seats on the SE and Sport which create all sorts of permutations. All handily the same size, as opposed to the 307 with the thinner middle one, they slide back and forth and all can be taken out in a manoeuvre that takes a certain amount of strength and counter-intuity requiring a push and pull at the same time. It’s a bit like patting your head and rubbing your stomach at the same time. And they are very heavy. However, it’s not often anybody is going to want to take all the seats out, and it is nice to have the option. The fact the seat backs fold forward should be enough for most. There is then the further option of a third row of seats – two little jump seats that are pretty much fit for children and no more. These seats will also fold flat so you can get a level load space. The luggage compartment can be usefully accessed by the rear screen which tips up with a poke under the T of ‘Peugeot’ on the boot. Or to open the whole thing traditionally, poke under the G.
Overall, with all the seats stowed elsewhere, the SW boasts 2,149 litres of carrying space, a seriously impressive amount. With the rear seats back in place, the SW offers around 600 litres – a class-leading effort. As for engines, fleets will no doubt be most interested in the 1.6 HDi diesels – 90 or 110bhp versions, or the 2.0-litre with 136bhp. On the HDi 90, CO2 levels are decently low at 125g/km for the manual. The petrol offering includes 1.4 and 1.6 VTi petrols, plus the turbocharged 150 and 175bhp THP petrol units developed with MINI. Prices start from £14,395 for the 1.4 S and £15,695 for the entry diesel, putting it head to head on price with the Ford Focus. The 308 is an odd car to drive. You sit too high, the pedals feel either too far away or too close, while the brakes are over-servoed and snatchy and the ride is jittery. Should performance be a consideration, then the 110bhp diesel will just about fit the bill, but its near- 60mpg when fitted with Michelin energy-saving tyres is a far more useful attribute. It’s just not in the same class as a Ford Focus, or as composed as a Volkswagen Golf, but the interior is high quality and very airy. Even with all seven seats in place, the SE and Sport models, which come with the massive panoramic sunroof, feel very spacious indeed. Space is the 308 SW’s strength. The second row has lots of shoulder room, even for adults, while the third row is adequate for kids. But this is a lower-medium car, remember. Making the most of that space could be the biggest drawback – struggling to lug the seats in and out seems rather old fashioned in the context of most MPVs and SUVs with their chairs that tumble into the floor, but it has to be remembered this car is based on a family hatch. You just can’t fit that level of complexity into the space and it offers more than most of its competitors. It doesn’t look like a box on wheels either, with the curved rear screen a particularly stylish addition. Lower medium estates are dull – that much was established long ago. But the 308 SW is probably the least dull of the lot, thanks to its very useful interior which means in this market, it should find a few fleet buyers beyond the peripatetic technician stereotype.